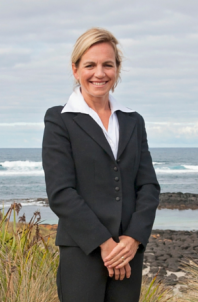 Luxurious vacation rental property in the heart of Port Fairy and an easy walk to the river, ocean and protected bay front beaches & top-class restaurants. Spacious, sunny, 2-storey townhouse, only 4 yrs old in small complex of 18, well-maintained units. Open plan, well appointed with quality wooden furnishings, leather and other special touches, top quality appliances and electronics, and fully equipped kitchen with all the comforts of your own home. Dual key access providing unique ROI opportunity to let as a 2 bed/1bath upstairs and separate 1 bed/1 bath downstairs each with one car garage access, or as a 3 bed/2 bath single unit. Professional management who specialize in Victorian coastal vacation rentals and onsite management provide a hands-free investment. Reduced to sell @$519,000 with excellent returns. Numbers will be provided on further enquiry.